What is Qualtrics Research Core? - Make sophisticated research simple. Qualtrics combines powerful features like 100+ question types and robust logic with ease of use to make complex research easier than ever. - Leverage AI to make better decisions. With advanced survey methodology checks, topic and sentiment text analysis, and built-in statistical expertise - transforming your data into actionable insights has never been easier. No Ph.D. required. - Research without Risks. Enterprise-level security, governance, compliance, and data handling features mean you can protect your most sensitive data and easily adhere to global security laws like GDPR. - Automated & Scalable. Leverage built-in integrations and powerful APIs to fit Qualtrics into your business workflows, so you can get to insights faster and drive better business outcomes. 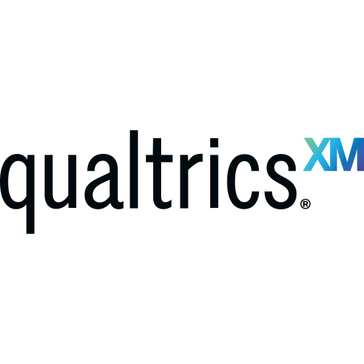 Qualtrics is the only experience management platform that is closing experience gaps and driving breakthroughs in four core experiences - CustomerXM, ProductXM, EmployeeXM, and BrandXM. Our platform allows organizations to standardize on a single system of insights for data collection, analysis, prediction, and action. This means your employees will feel valued and engaged; your product team knows which features will land best with customers; your marketing team knows the right price point; your frontline staff better understand customers and deliver a better experience. From a robust self-service offering to full-service solutions with programmatic consulting, businesses of all sizes leverage Qualtrics for designing and fielding projects to collecting insights across multiple channels.